Dry Eye Syndrome is one of the most common eye conditions in Baltimore and across the United States. The symptoms of dry eye syndrome can be very frustrating, and make it difficult to enjoy everyday activities. Whether in the form of an eye allergy, redness & inflammation, or a gland malfunction, a lack or imbalance of tear production will cause your eyes to feel dry, itchy, and gritty. Dry eye syndrome is also often associated with redness, foreign body sensation and excessive tearing (the eye trying to compensate for the dryness). Treatments for dry eye are geared toward symptom management, as dry eye syndrome has no outright cure. 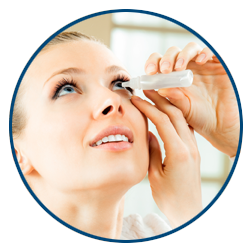 Eye drops are generally the first step in relieving dry eye symptoms. While eye drops can help restore comfort, a dry eye expert can utilize various kinds of treatment to find what works best to ultimately reduce dryness and inflammation. Eyesymmetry Vision Center is the Baltimore area Dry Eye Center of Excellence using Amniotic Membranes to treat the most severe and advanced cases of dry eyes. 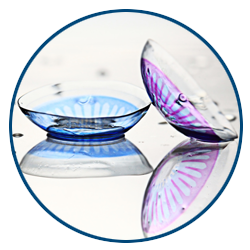 In conjunction with highly customized scleral contact lenses, many of our patients who struggled with dry eye disease for years have found a long lasting and effective treatment. 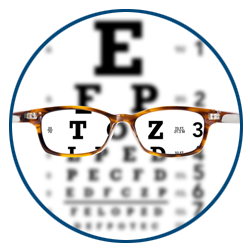 Our advanced and cutting edge diagnostic technologies along with Dr. Schwartz expertise in the field brings a superior approach for the diagnostic, management and treatment of Dry Eyes. Cliradex® is an all natural, preservative-free lid, lash and facial cleanser that helps manage symptoms associated with blepharitis, meibomian gland dysfunction (MGD), rosacea, dry eye, Demodex, chalazia and other lid margin diseases. Unlike traditional cleansers derived from man-made chemicals, Cliradex is a natural way to keep your eyelids and skin clean, comfortable and healthy. Millions of people suffer from chronic dry eye, blepharitis, meibomian gland dysfunction (MGD) and meibomitis. Treatment of these patients has been a difficult task for optometrists and ophthalmologists. Indeed, a significant number of patients who seek relief for these chronic and debilitating conditions will bounce from doctor to doctor looking for a reprieve from their discomfort. Recent evidence indicates that almost ten percent of the American population suffers to some degree from these persistent complaints. Avenova, from NovaBay Pharmaceuticals is the new kid on the block. The active ingredient in this revolutionary product is Neutrox™, a 99% pure, stable form of hypochlorous acid, the same chemical produced by the body’s white blood cells to combat infections. Avenova offers our suffering patients relief from their red, sore, achy eyes. In solution, Avenova has antimicrobial activity and laboratory results demonstrate anti-inflammatory activity as well. If you are frustrated with your dry eye symptoms and live in the Baltimore area, it’s time to do something about it! 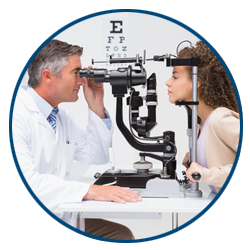 Call EyeSymmetry Vision Center in Owings Mills today to see how we can help you. PROKERA is a therapeutic device used by eye doctors worldwide to protect, repair and heal damaged eye surfaces. Avenova helps those who suffer from chronic dry eye, blepharitis, meibomian gland dysfunction (MGD) and meibomitis. Cliradex is facial cleanser that can address symptoms associated with blepharitis, meibomian gland dysfunction (MGD), rosacea, dry eye, Demodex, chalazia and other lid margin diseases. 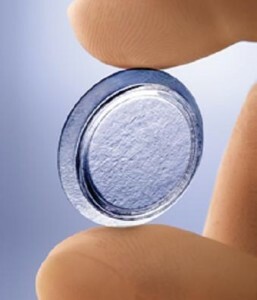 Amniotic membrane disks are FDA approved medical devices to treat numerous eye conditions and often severe dry eye disease. The immediate effects from an amniotic disk within a week has astounded dry eye patients. Stop suffering from yearly dry eye symptoms & get relief, today! Ever wonder where to find a dry eye specialist? Look no further. I have to itch my eyes constantly. Any solutions? Often, people mistaken the itchy eye feeling come from the eyes when in actuality the source is dryness around the eyes or an allergic reaction. Make sure to stop rubbing around your eyes as this can worsen symptoms and possible cause a cornea abrasion. While over-the-counter eye drops can relief symptoms, applying warm compresses can also bring longer-lasting relief. If you are experiencing these symptoms multiple times per week, you would need an eye exam to see whether your case simply requires anti-histamines, a more advanced warm compress, or even medicated eye drops. My eyes are burning when I wake up. Why do my eyes burn? 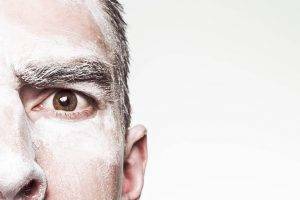 Burning eyes are symptomatic of poor tear production, one of the most common forms of dry eye disease. You may be likely having these symptoms from a diet low in vitamins and Omega 3 fatty acids, or simply the environment is dry or hot. A dry eye consultation would be recommended to identify the causes behind your burning sensations.